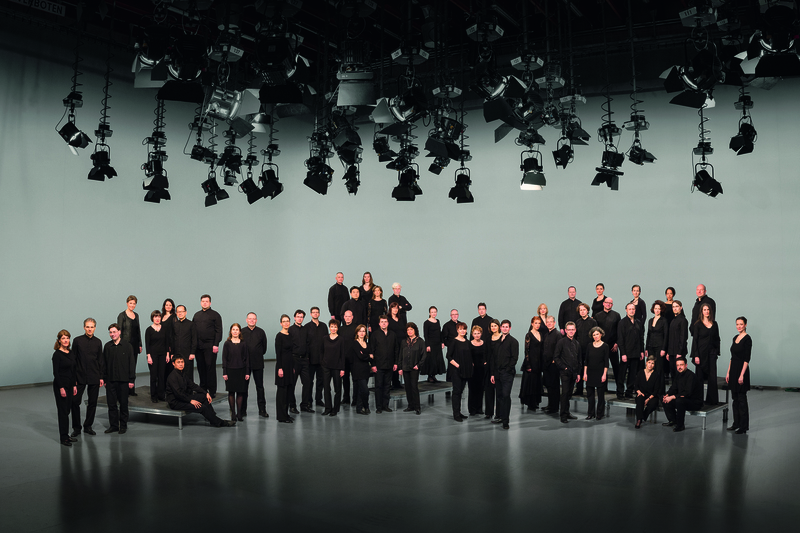 Winner of a Grammy Award in 2008, 2009 and 2011, Berlin Radio Choir is a regular guest at all the major festivals and the chosen partner of international orchestras and conductors such as Sir Simon Rattle, Christian Thielemann and Daniel Barenboim. It is the permanent partner of the Berliner Philharmoniker as well as of the Berlin’s Deutsches Symphonie-Orchester and Rundfunk-Sinfonieorchester Berlin and their conductors. The exceptional breadth of its repertoire, its stylistic versatility, absolute precision, delight in experimentation, stunning responsiveness and an unmistakable warm, richly nuanced sound all contribute to making it one of the world’s outstanding choral ensembles. 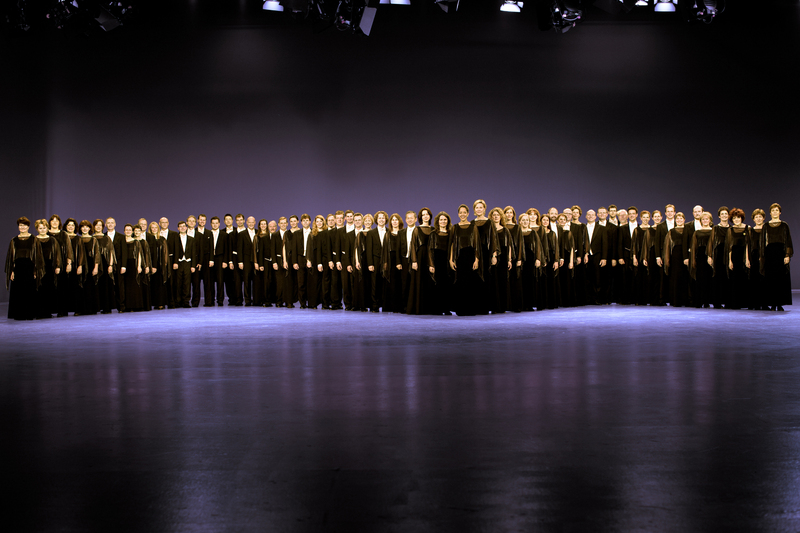 Berlin Radio Choir’s experimental series, “Broadening the Scope of Choral Music”, has attracted great worldwide attention. Here, in collaboration with artists from diverse disciplines, the chorus is breaking down the classical concert formation and adopting new modes of choral music for a new audience. Some prime examples: Rodion Shchedrin’s The Sealed Angel employing five dancers has now been seen in many different countries; the all-night performance of Sir John Tavener’s The Veil of the Temple in Berlin’s museum for contemporary art was visually enhanced and filmed by Boomtown Media; an interactive scenic version of Brahms’ Ein deutsches Requiem was staged by Jochen Sandig / Sasha Waltz & Guests and will follow international invitations in the next seasons. With its annual activities for various target groups – the big “Sing-along Concert” and the “Festival of Cultures” in the Berlin Philharmonie, the “Berlin LeaderChor” for managers, and the “Liederbörse” (Song Exchange) for children and young people – as well as with the long-term education programme “SING!” Berlin Radio Choir invites people of all ages and walks of life to become immersed in the world of professional choral music. In 2014, the ensemble hosted the third Berlin International Masterclass inviting young professional choral conductors from all over the world. Founded in 1925 and shaped by conductors including Helmut Koch, Dietrich Knothe (1982-93) and Robin Gritton (1994-2001), Berlin Radio Choir has been directed since 2001 by Simon Halsey who hands over the baton to Gijs Leenaars in 2015. Berlin Radio Choir is an ensemble of Rundfunk Orchester und Chöre GmbH Berlin (Shareholders: Deutschlandradio, the Federal Republic of Germany, the State of Berlin and Radio Berlin-Brandenburg).